DescriptionOrganise your guest list with the help of these invitations, designed specifically for evening guests. These beautifully simple cards are enhanced with glamorous gold lettering that really sparkles against the marble effect background. Each pack contains 10 Cards, plus Envelopes. Organise your guest list with the help of these invitations, designed specifically for evening guests. 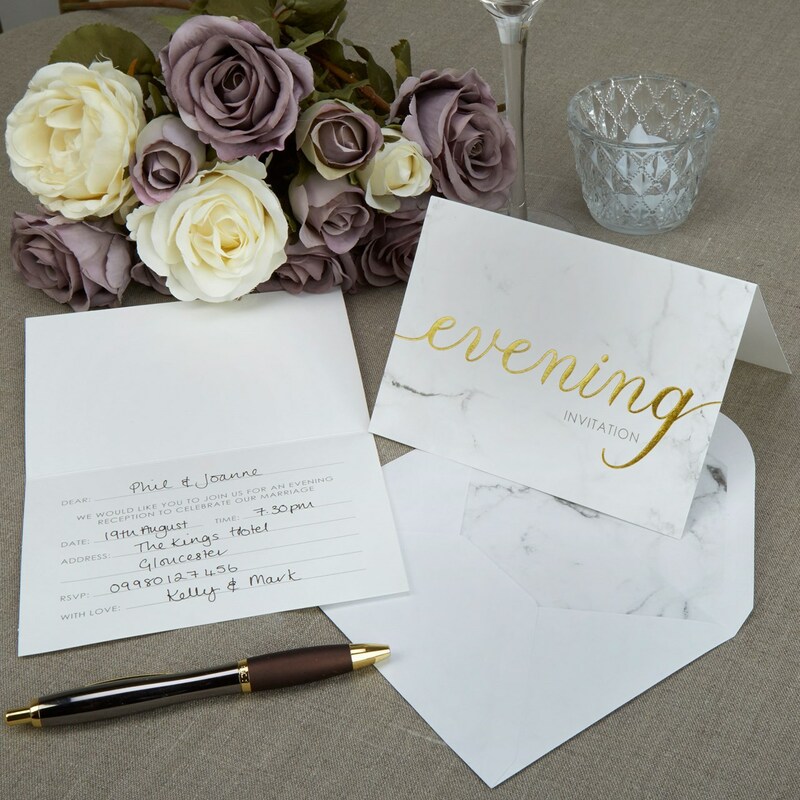 These beautifully simple cards are enhanced with glamorous gold lettering that really sparkles against the marble effect background. Each pack contains 10 Cards, plus Envelopes.